Your mind is a powerful tool. It sorts, categorizes and makes sense of the world for you. Yet we’ve all seen what happens when it starts spinning out of control: sleepless nights, trouble focusing, elevated stress. That’s why so many spiritual practices revolve around quieting the mind. When you start meditating, you begin noticing the thoughts that float across your consciousness. Instead of latching onto them and reacting, you learn to let them fade as naturally as they arise. Like your mind, email is a potent tool that must be trained to work for you rather than against you. An overly full inbox acts as mental chatter throughout your day, distracting you from your larger purpose. But just as mediation can help still your mind, managing email consciously can help bring a sense of calm to your workday. Imagine each email as a thought drifting into your awareness. Often when a new message arrives, we leap at the notification sound and rush to check our inbox, instantly letting the technology seize control of our time. Sometimes we respond right away, but often we set the email aside, not quite sure how to reply, and return to it later. We might even return to it several times before finally putting it to rest. At that point, we’ve created the email equivalent of a mental loop, revisiting the same “thought” over and over throughout the day. There are a couple of ways to disrupt this process. First, you can train yourself not to jump at the notification sound. Establish certain times throughout your day for checking your inbox, and ignore them the rest of the time. Then, when you do read emails, limit the number of time you spend with each one. If you can take care of the required action immediately, do it. If not, set it aside once. Return to it only when you have enough time to fully address it. Commit yourself to never revisiting an email more than you absolutely have to. Clearing your inbox can be as important to your inner peace as clearing your mind. But it becomes counterproductive if you invest a lot of time or stress into doing so. Think about your breath. Most of the time you don’t have to—it happens automatically, without your attention. So should managing email. Take advantage of tools that allow you to train your inbox to auto-sort for you. You’ll be amazed at how effortless it can be to keep an empty inbox while freeing up your time for more important things. A major benefit of meditation that you learn to recognize and “unsubscribe” from counterproductive thought patterns. Conscious email management includes watching for similar patterns in your email usage, as well. For example, as you work on getting your inbox under control, take note of what you delete. If you toss out three unread emails from the same source, it’s time to unsubscribe from that sender. 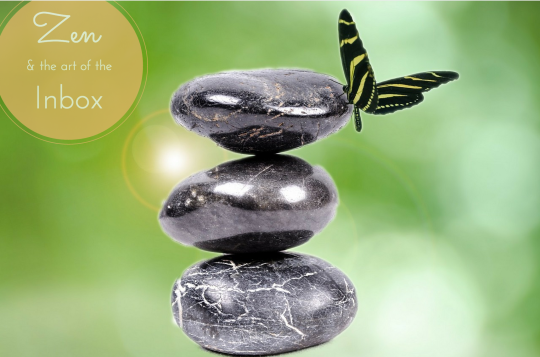 You may not be able to turn your inbox into a zen-like garden of serenity. But these email management tips can help you reduce the waves in your pond to mere ripples. 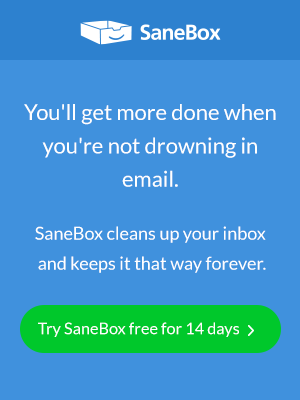 Ready to finally end your inbox insanity?